It began with an empty lot and a dream full of promise. 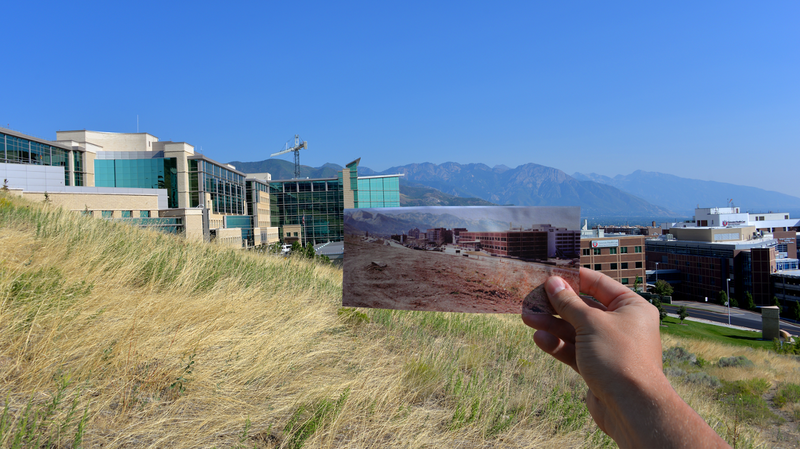 In 1995, Jon M. and Karen Huntsman and their family pledged $100 million—at the time, the largest donation ever made to medical research by an individual—to build Huntsman Cancer Institute (HCI) on the campus of the University of Utah. Now, 22 years later, HCI has dedicated a major building expansion that will double HCI's research capacity. The new Primary Children’s and Families’ Cancer Research Center houses scientists who provide the foundation for advances in understanding childhood cancers. They will also trace familial cancers and accelerate the development of new treatments and cancer prevention strategies. Enhancements include a Biotechnology Center, with the latest genetic sequencing and imaging equipment. 1999: HCI building is dedicated; Patient Care Center opens. 2004: HCI Cancer Hospital opens, featuring first full-field digital mammography unit, first PET/CT imaging unit, and first facial prosthetics lab in the Mountain West. 2011: HCI Cancer Hospital 156,000-square-foot expansion opens, doubling HCI's inpatient capacity, imaging and radiation treatment facilities, and operating rooms; expanding clinical trials; and increasing patient access to new treatments. 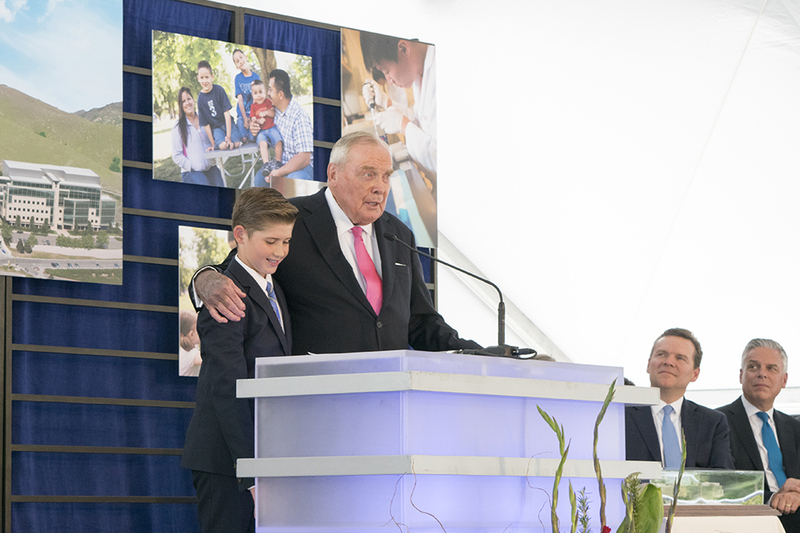 2017: HCI dedicates the Primary Children's and Families' Cancer Research Center on June 21, the 80th birthday of HCI's founder, Jon M. Huntsman, Sr.
provide world-class training opportunities for the next generation of cancer researchers. "When we dedicated the first phase of Huntsman Cancer Institute in 1999, I told everyone it was just the beginning. 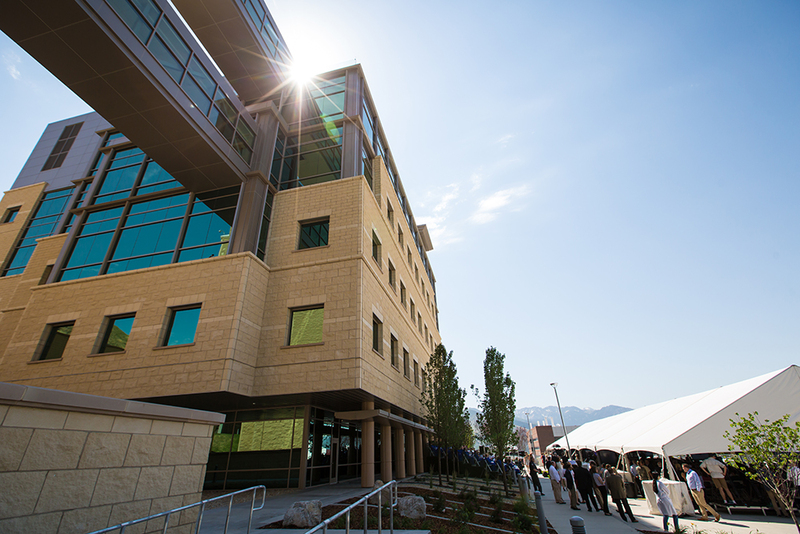 That vision—which many viewed as impossible—is now coming true; a cancer treatment and research campus unparalleled in the world," Mr. Huntsman said. "Here we'll make the kind of research advances that will truly make a difference to the human family." In celebration of the opening of the Primary Children’s and Families’ Cancer Research Center at HCI, a symposium called “Frontiers in Cancer Prevention, Research, and Therapy” took place in September 2017. 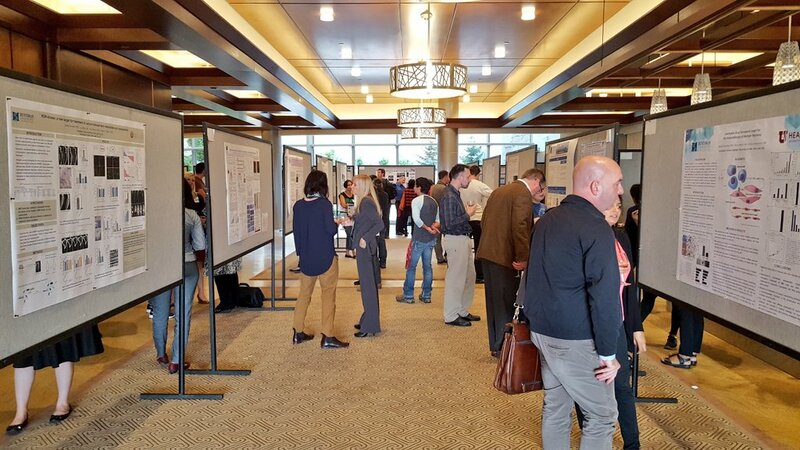 Approximately 250 people attended the symposium, which featured eight lectures by international leaders in cancer research and a poster session where HCI students highlighted their work.